Eye popping beautiful 3D graphics, realistic scenes and vehicles, addictive and crazy gameplay, extremely smooth tilt control, as well as awesome vivid sound, which will give you a real motorcycle racing feeling! Sunshine beach, cereus desert and magnificent bridge, three attractive scenes are in this game. Two angles of view, give you two fantastic driving feelings. 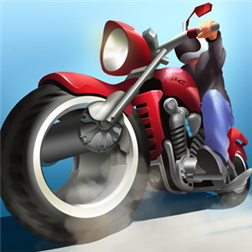 If you like Highway Rider, Lane Splitter, MotoHeroz, Moto Chaser, Traffic Rush, Traffic Race 3D, Top Truck, Real Racing, Archer, Basketball, Pool, Air Hockey or other Car and Bike games, you shouldn’t miss this game. Keep your nerve and challenge yourself now! – Tap screen to speed up your motor at insane speeds and get double scores. – Tilt your phone left and right to control driving direction. – Watch out the changing traffic and roadside. – Pass vehicles much closely to get bonus scores. -Fix the bug that does not run on devices with 256-MB of memory.